Doha, Qatar, August 14, 2016: Katara Hospitality, the leading global hotel owner, developer and operator based in Qatar, has welcomed the announcement of The Peninsula Paris being awarded the highly prestigious ‘Palace’ distinction by ATOUT France, the French Tourism Development Agency. ATOUT France carries the mandate to promote and enhance France’s tourism landscape, with the ‘Palace’ distinction designated for hotels exhibiting extraordinary service standards and design aesthetic that exceeds the 5-star ranking. 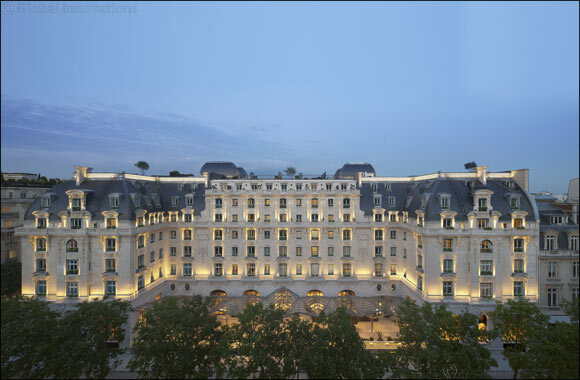 Only eight hotels in Paris carry the ‘Palace’ rating, with Katara Hospitality owning two of the hotels: The Peninsula Paris and Le Royal Monceau – Raffles Paris which received the ‘Palace’ status in 2010. “Renowned for unrivalled service standards, The Peninsula Paris is one of the many remarkable hospitality gems within our portfolio. We are deeply proud of this achievement, as it endorses our position in the French and global luxury hospitality landscape,” Hamad Al-Mulla added. The recognition comes within two years of the luxury hotel’s opening after a meticulous renovation. Characterised by world-class standards of design, luxury and comfort all housed within an iconic 19th century Haussmann building, The Peninsula Paris is a true symbol of Parisian luxury hospitality. Located in the heart of Paris and within walking distance from the iconic monuments Champs Elysées and the Arc de Triomphe, The Peninsula Paris boasts 200 opulently furnished rooms and 34 immaculate suites, all of which are fully equipped with the latest trends in innovative technology. World-class conferencing rooms and the well-appointed 1,800 sqm Shisedo Spa and wellness facility also offer guests an opportunity to experience moments of relaxation and rejuvenation. Combining classic Parisian charm inspired by Paris’s rich heritage in fashion flare, with signature functionality, design aesthetic and space that appeals to the most discerning of millennial traveler tastes, The Peninsula Paris has since its reopening on 1st August 2014 become well established as a destination of choice and hotel of distinction for the Parisian and global luxury hotel market.